You will become a true master in haircutting. Your confidence will increase expediently! When a client shows you a photo, you will know exactly how to recreate it! Each time your client returns, you will deliver consistency! You will know exactly what that client’s hair will or will not do before you cut. Your client will be able to style their hair with much less effort because the shape is in the hair and not in your styling abilities. 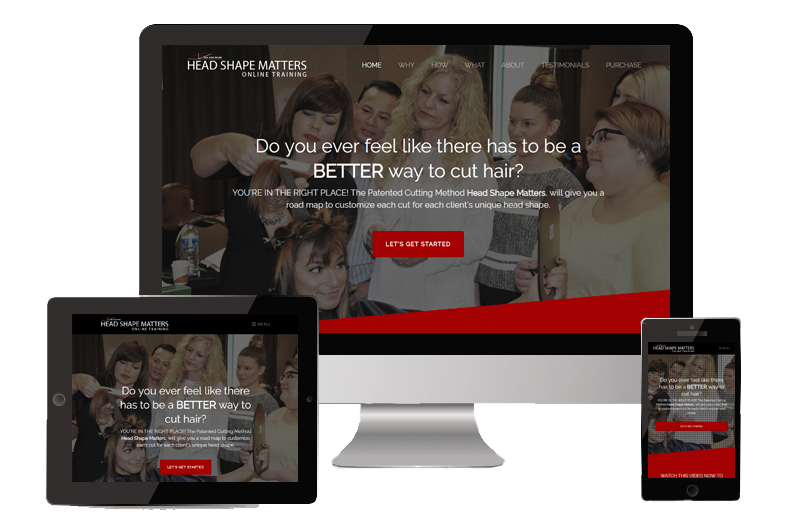 Join us on the Head Shape Matters Masterclass online training; the step-by-step system I have taught to over 5,000 enlightened hairstylists just like you, from around the world. To make it easy for you to follow along. The lessons are available to you immediately upon registration.You’ll watch the lesson and follow the step-by-step guides to start creating your own stunning cuts. Then, once you share your work with our amazing team of Educators, you’ll move on to the next lesson. You can work at your own pace — as fast as you want! There is a question and answer template for each module – great for cementing everything you’re learning in the videos. Share with your fellow masterclass participants in a safe supportive space on our private Facebook forum. Get feed back on your assignments, and answers all your questions! You’ll be part of a community of passionate hair-cutters who are committed to mastering skills with our career-changing education, and we’ll be guiding you and cheering you on every step of the way! 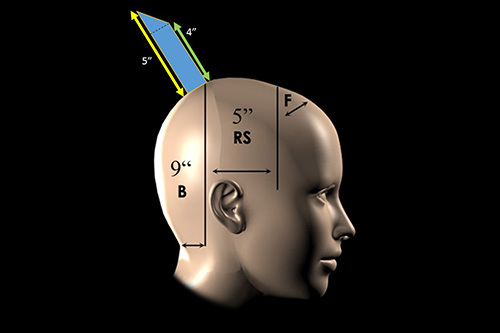 We will cover the Head Shape Matter hair-cutting system end-to-end with in depth analysis of the HSM patented techniques! You have 12 full weeks to complete the course. You do have the option to extend your time with the Education Team for an additional fee. You can extend your class for 2 weeks for only $59.00 or 4 weeks for $99.00. Once you have completed the course, you will gain lifetime access to all of the training videos. We know you have a busy schedule so we’ve designed this program to give you the freedom and flexibility to fit your learning around work and your other commitments. You can watch the lesson, complete the assignments and share at any time during the week. 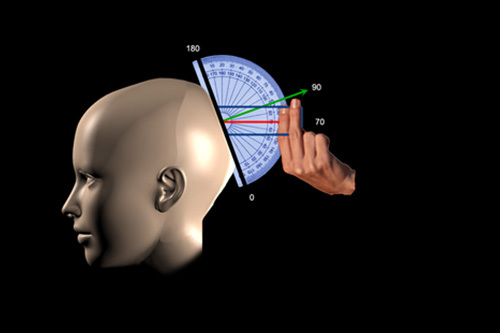 We recommend you allow a couple of hours per week to get the most from the Head Shape Matters course. How often is the starting point of a client haircut an inspiration picture, or even vague hand gestures? Most times, right? And it can be challenging to confidently know if it will work out for your client. To be a true master in haircutting it’s critical that you know how to quickly and accurately decode an inspiration picture or hairstyle description into a proven roadmap to recreate the haircut your client wants. Once you’ve got your roadmap to recreate the cut your client wants the next step is to start the haircut. Starting it the right way means you never have to worry about ending up in a salvage-situation, trying to correct a haircut that didn’t turn out as you thought it would. 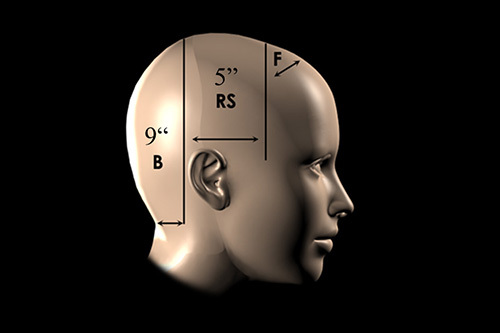 In this module we’re laying the groundwork for great haircuts every time: how to cut your design line and guideline, and mastering quadrants the Head Shape Matters way. In this module we’re digging deeper into creating your haircut roadmap with my step-by-step measuring method, and my patented formula to make the math a breeze. When I was learning to cut hair I was taught four angles, measured in relation to the floor. But when I created Head Shape Matters I realized the only logical way to find angles is from the shape of your client’s head. It’s 100% common sense, because every head shape is different, right?! In this module we’re getting super comfortable with cutting angles and measurements, and how the head shape informs your haircut from the moment your shears meet the hair (once you see my eye-opening demonstration you’ll be excited to have this method guiding each and every haircut you do). By this stage you’ll be rocking out your angles and measurements, and applying it to your Head Shape Matters practice cuts. And now it’s time to add in the final piece of the equation… head shape. Just like a fingerprint, every client has their own unique head shape. And once you discover how to decode it you’ll have all the information you need to apply this system successfully every time you pick up your shears. 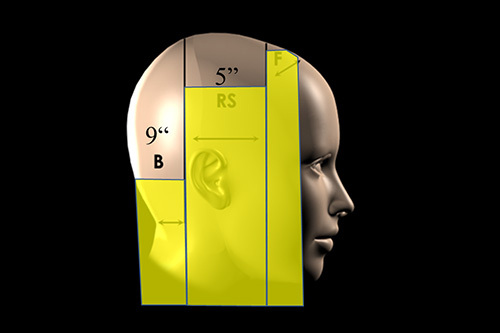 In this module we’re defining head shapes and how to adjust your cutting angles based on your client’s individual head shape to get the best results. Mastering this is the secret to consistently successful haircuts… and clients who love you. 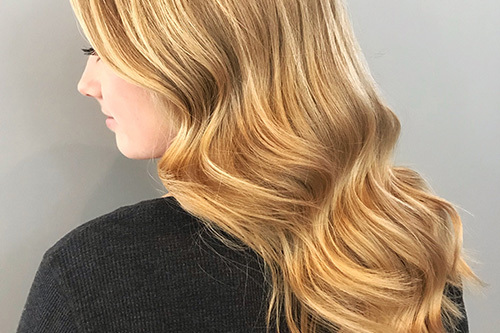 The Head Shape Matters system allows you to create any inspiration haircut your clients bring you, and to really cement your learning we’re diving deep into two key long hairstyles. 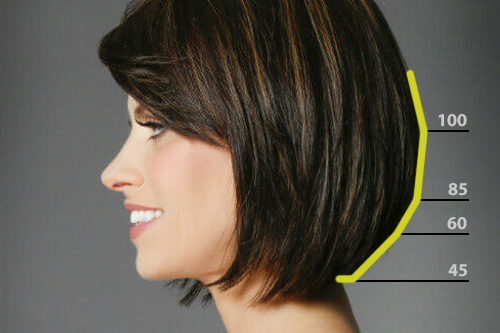 In this module we’re creating balanced flawless long layers, and I’m revealing my tips for the perfect inverted bob. Give yourself a huge high five… you’re on the final straight of becoming a true master of the haircutting profession with Head Shape Matters! In this final module we’re bringing everything together with a detailed walk through of doing a haircut the Head Shape Matters way. 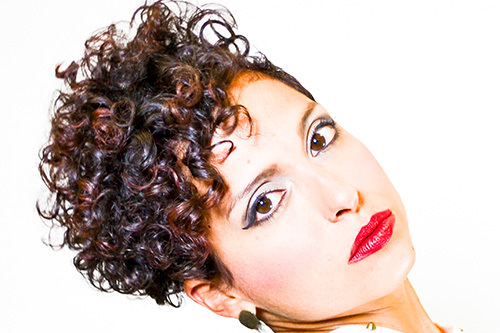 Plus we’re digging deep into short haircuts – how to do them quickly and achieve beautiful shapes. What supplies will I need to take this course? My friends at Giell Beauty have created an amazing deal for everyone participating in the Online Training Course. We will not need the mannequin until week 2, so there is plenty of time to order. They are great about quick shipping! If you already have the items listed, GREAT! If you register on their website as a licensed cosmetologist you can get the kit for only $90.63 PLUS you can get an additional 5% off of that by using the HSM code in the discount code box.. OR if you would rather have a tripod instead of a clamp, you can get that for $126.63, only $36.00 more. THAT IS A GREAT DEAL! "I love having a formula... I know I can deliver now and not just hope for the best! Game changer." I took the class because I felt stuck. I wasn't able to create the shapes I had in my head and I wanted to know why.I would always 'wing it' and hope that I could create the cut I was aiming for and maybe be able to recreate it the next time. Now I have the knowledge as to how and why. I'm so much more confident in my cuts and I love having a formula to go back to when my client returns for a trim! When my client says 'I love what you did last tme, do exactly that again!' I know I can deliver now and not just hope for the best! Game changer. "We could absorb each lesson without feeling overwhelmed"
I feel like the information is amazing and I love how it was broken down so basic each week, so we could absorb each lesson without feeling overwhelmed. "No more guessing what I should do..."
I took the class because I felt uncertain on how to create shapes. I'd see a cut and think I knew what to do and would get started and I'd get lost in the shape I set out to create. I felt like using HSM would help me to establish what I needed to know when it came to cutting a client's hair, no more guessing what I should do, I needed to know with certainty and I felt it would help with that. "I hated the unpredictability of cutting.. Now I can cut a client's hair one time rather than three times." I took a one-day class to see if it was too good to be true with being able to predict how a cut would turn out before even picking up my shears. I hated the unpredictability of cutting. Then I went to certification because I was it work in person, and wanted to able to do it. Now I can cut a client's hair one time rather than three times. "Because of HSM my passion has been reignited and my creative battery is totally recharged!" "I took the online course first to make sure this old dog could learn a new trick. Boy did I learn it! My haircutting world was turned upside down and I needed MORE! I have about 15 years left to go before retirement and knew I didn't want to do the same old thing with the same old results when I could do something so much better with this system. Because of HSM my passion has been reignited and my creative battery is totally recharged!" "I would finally truly learn how to cut hair..."
After about 30 years of doing hair full time I discovered HSM and was addicted to watching Kim's videos convinced that if I took the course I would finally truly learn how to cut hair. I was right and very thankful.